Sen. Bernie Sanders plans to introduce in the Senate an expanded estate tax plan with rates up to 77 percent. According to the Washington Post, Sanders’s plan would restore the 77 percent top estate tax rate that was in place in the U.S. from 1941 to 1976. The plan also calls for estate taxes on estates worth more than $3.5 million, and create several new estate tax brackets. It would levy a 45 percent estate tax on those with $3.5 million to $10 million; a 50 percent tax on those with $10 million to $50 million; a 55 percent tax on those with $50 million to $1 billion; and a 77 percent tax on those with more than $1 billion. 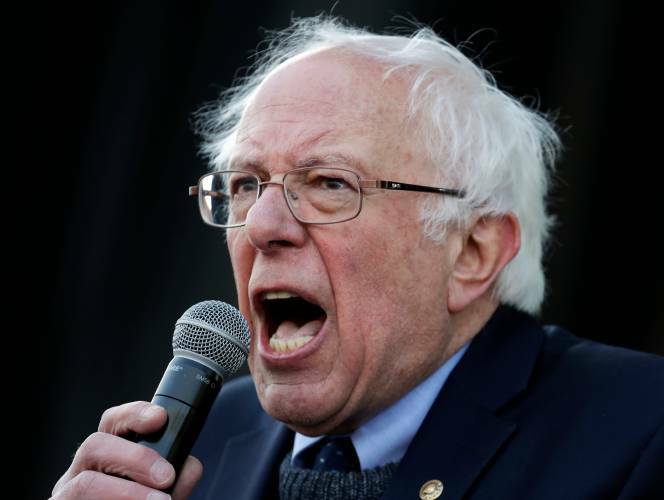 Sanders also supports Sen. Elizabeth Warren's proposal to introduce a wealth tax and Rep. Alexandria Ocasio-Cortez (D-N.Y.) call for a 70 percent marginal tax rate. One of the best parts about Socialism (from a Bernie Sanders perspective) is that you get to make rules for others that you yourself don't have to follow.